VR has been “out” and available for a little while now with more companies jumping on the bandwagon each month. 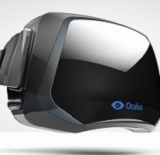 We have heard that Computex had a number of new VR products that were shown off making the market even deeper. However, no matter how deep the pool is there will always be a few products that will rise to the surface. In this case the two major, PC based, products that have risen to the top are the Oculus Rift and the HTC Vive. Yes, there are others, but these two seem to be the ones most talked about so we will be taking our look at these two. Finding the compelling features of a product is not always an easy thing to do. Most of the time the reasoning behind a purchase is very subjective. There is an old phrase; “if you think it is a good deal, then it is”. This pretty much sums up almost every technology purchase. If you want to buy a product, I mean really want to buy it, then you will find the reasons to buy it (think Smart Phones). With a newer technology like VR these preset ideas are usually not built in like they would be for other forms of technology. The fan boys have not had the time to gather and sniff things out. Mostly this is due to adoption costs, but can also be due to a genuine lack of information about the products themselves. Online articles boasting of the virtues of VR and in-store demos are just not enough for most consumers. They cannot see the compelling reason to fork over a ton of money (which we cover below)… yet. The amount of real world information is in short supply so VR companies are taking an interesting path to getting the word out. I like to call this near-VR. Here is where we talk about the GearVR and all of the other near-VR products like it. These products take your smartphone and turn it into a VR system. You do not have the computing or graphical power of a PC or even a gaming console, but you can get small-scale near-VR games and applications that give you a taste of what it possible with VR. This taste of VR is one of the reasons that Oculus invested in the Gear VR system. By giving people a small taste of VR you get them to want more and to wonder what they could do with the next step up. Samsung themselves made a very smart move with their S8 Launch when they gave away a Gear VR with controller to anyone that pre-ordered an S8 phone. Not only did they increase potential sales, but also they now have a large number of people that will be exposed to the wonders of VR. There are challenges with the Gear VR and controller including losing track of the controller due to Bluetooth issues (or power saving), head tracking issues, comfort, and audio irregularities amongst others. These challenges (and the cost of some apps) will put a few people off, but many more will crave an improved solution. To be honest, this is what happened to me. I find the Gear VR clunky and problematic, but I can see the potential and wonder what some of my favorite games would look like in VR. I started looking into it almost immediately… and hit the big bad wall of the massive cost of getting into full PC based VR. When we have asked about VR and if people are looking into it, one of the biggest issues is simply cost. Right now, the Oculus Rift will set you back between $500 and $600 while the HTC Vive will put an $800 or so dent in your budget. These costs are just for the VR headsets and accessories themselves, we have not even gotten into back-end costs. This is a significant amount of money for the average consumer (it is a significant cost for us as well) to purchase a new technology that has some high performance requirements. However, with both the Oculus and the Vive there are back end costs that will affect you VR budget as well. Both devices require a powerful GPU to run them. With the Vive the minimum requirement is an nVidia GTX 970 or Radeon R9 480 just to push the graphical environment. 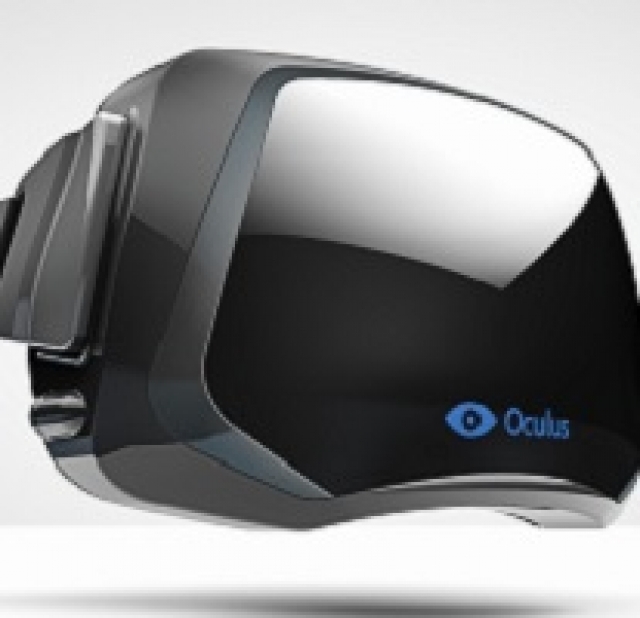 For the Oculus the minimum is listed as an nVidia GTX 960. These GPUs are not cheap with the GTX 960 popping up online around $250. Just the GPU requirements alone can significantly increase the cost of getting VR into your environment and these are the minimums. Recommended requirements push the GPU costs up into the $400 range. To add more into this, the low cost of the Oculus is, in part, because it only ships with a standard Xbox One controller and not a set of hand controllers like the Vive has. If you want to get hand controllers, you will need to drop another $100. The funny thing is that these two products are the more reasonable priced products on the market. The Microsoft HoloLens (pre-sale developer edition) costs $3000, although it is fully self-contained and does not require a PC. It is not hard to see where a major roadblock to VR adoption by the mainstream is even with the near-VR products. This last piece is just a simple fact of life with a new technology. There are not all that many games, and applications that are ready for VR… well let me rephrase that; there are not that many good games and apps that are ready for VR. In looking through the catalog of apps and games for the Gear VR there are a good number of them, but most are boring and are not going to hold much interest for the price the developer is asking. Do you want to spend $10-20 on a game that does not have a good presentation or looks bad? Most people are not going to do that and they are certainly not going to drop $800+ on a solution on the hopes that they can find a few good games to play in VR. VR is a cool technology with a lot of potential. Sadly, no one has really tapped that potential in a compelling or meaningful way. The tech is great and even looks great, but it is too expensive, lacks a good ecosystem of games and apps and there is nothing really compelling about it other than it is cool. We have said this before and we will say it again, until someone comes out with a killer application, VR will remain a niche product with a ton of untapped potential. We do fully expect someone to do so, just not in the very near future. Unless I miss my mark, I will say that VR will not gain market acceptance until the cost of VR ready GPUs and the headsets themselves drop in price. The earliest we can see this happening is in 2H 2018, but it could be much longer than that.